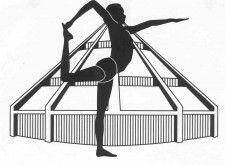 Located in Liverpool city centre in the Georgian Quarter, The Liverpool Iyengar Yoga Studio is a dedicated centre to the teaching of yoga as developed by Indian yoga expert B.K.S. Iyengar, who practiced and taught yoga for more than eighty years. B.K.S Iyengar celebrated his 95th birthday in December 2013 and sadly passed away on 20th August 2014. His most popular book LIGHT ON YOGA has been translated into many languages and is known worldwide. His teaching is often referred to as ''Iyengar Yoga''. 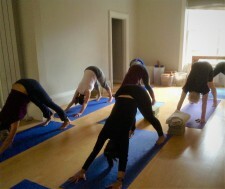 We hold courses and classes for new beginners as well as for experienced Iyengar Yoga students and Iyengar YogaTeachers. Foundation Courses are held regularly throughout the year so that new beginners can start together and learn the basics of Iyengar Yoga, after which there is an option to join the regular beginners classes. You do not need to have any previous yoga experience or have any level of fitness. The course is suitable for adults over 18 years (or 16 plus, accompanied by an adult). Places are limited to enable personal attention and assistance where required. An Introductory level/beginners regular class for the 50 plus age group, to work more specifically in the yoga postures to build up strength, mobility and balance, using props where needed. You can join anytime. * Missed classes can be made up within the five weeks by attending another class by arrangement. Or 5 week payment covers 4 classes within 3 months. This is an ongoing class beginners class for those who have already attended Iyengar Yoga classes and are familiar with basic standing and seated poses and the use of props for shoulderstand if practised. Please book in advance before attending as numbers are limited acccording to room capacity and also for individual assistance. * Missed classes can be made up within the five or ten week block by attending another class by arrangement. Or a 5 week payment covers 4 classes within 3 months and a 10 week payment covers 8 classes within 6 months. We have morning and evening classes for those who have already attended Iyengar Yoga classes and are familiar with the Iyengar method. We teach General and Intermediate Classes for students of Iyengar Yoga as well as for Iyengar Yoga teachers. . You can find all the details for these on the link for our timetable at //www.yoga-studio.co.uk/index.php/3 you can join anytime. Please get in touch by email and we can guide you into the best class for your experience, we very much welcome Iyengar Yoga practitoners who are new to the city of Liverpool. ABOUT THE YOGA STUDIO The Liverpool Iyengar Yoga Studio holds Iyengar yoga classes for all levels of ability to include beginners, experienced students and teachers. THE DIRECTOR The Liverpool Iyengar Yoga Studio (formerly located at 31 Mathew Street) is owned and managed by Judi Soffa. She has a Senior Intermediate Level 1, Iyengar Yoga Teacher Certificate. Judi has over thirty years teaching experience. She initially trained in London, moved to Liverpool and acquired her teaching qualification with the Manchester and District Iyengar Yoga Centre before opening the first Yoga Studio in Liverpool in 1985. Judi has studied on least sixteen occasions since 1982, for one to two month periods, directly at the Pune, (India) based Ramanani Iyengar Yoga Institute, with the world renowned yoga expert BKS lyengar. She attended his special intensives and also the local classes with his daughter Geeta lyengar. 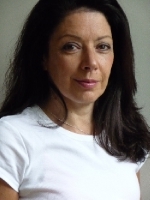 Judi is a teacher training assessor for lyengar Yoga (UK). She was also a former member of the Ethics and Certification Committee for the UK national Iyengar Yoga organisation and currently serves on the editorial board for the Iyengar Yoga News magazine. There are also three other qualified Iyengar Yoga Teachers also taking classes at the Yoga Studio. 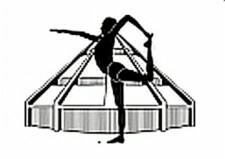 Issued by the Iyengar Yoga Association (UK), only yoga teachers with this mark can legally teach Iyengar Yoga, it ensures that the teacher is a genuine Iyengar Yoga Teachers and the public is assured of safe teaching.